Do you think you want to talk about fashion trends, beauty brands or even dedicate a blog about your favorite TV shows? 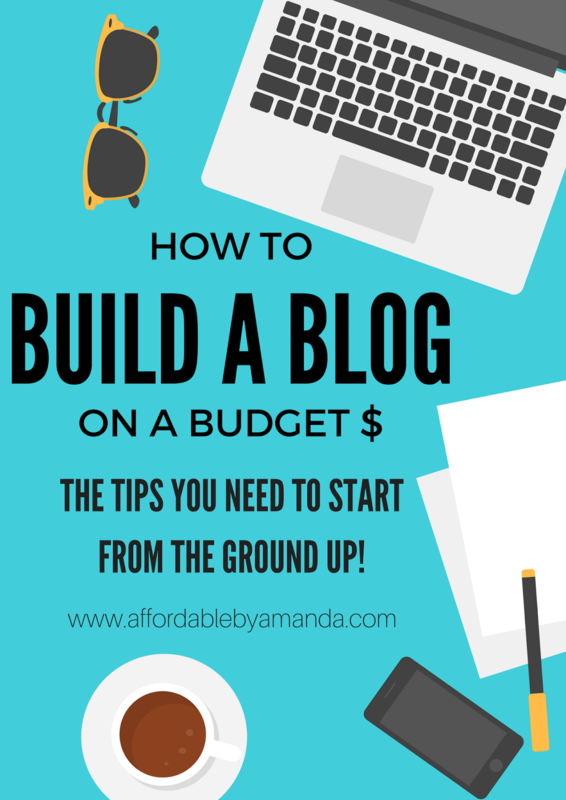 You may be thinking, "How can I possibly make a blog profitable, too?!" Well, you can. There are numerous blogs out in the world wide web, but that doesn't mean you can't build yourself a blog from the ground up. Now, it won't all be easy. You have to try and fail before you hit the right formula. You won't see the $$ in your first month unless you are fully committed to join the blogging world in full force and take time to develop your blogging strategy. One of the first steps to growing your blog is starting out on social media. The platforms that you NEED to be on include Facebook, Instagram, Twitter, Tumblr, and Snapchat. Depending on what type of blog you plan on creating will indicate WHICH platforms will weigh heavily on your brand. Do you want to build a fashion blog? Instagram is probably where you need to be. Do you love cooking and wish to start a blog about new recipes? Consider Facebook where short videos clips of your baking process can go viral. Once you have accounts on these platforms, then you can start to grow your following. More people will be drawn to your blog if they first find you through a cute Instagram pic or if they see one of your baking videos. The great thing about publishing to these accounts is that you are in control of the content that you post. They are also FREE apps so you can save some extra money that you would spend toward your blog in this situation. This blog building tip is all about ENGAGEMENT. Did you know how powerful having strong engagement is? A lot of sponsored posts are given out to high profile bloggers because they have high engagement. Engagement basically comes down to how many LIKES and COMMENTS you have on your feeds. It also means you have quality content that people just love to look at! Engaging with your audience is HUGE. You see that someone took time out of their day to comment on your blog post or Instagram pic? Send them a quick thank you response! This interaction is not only awesome for your engagement level, but it shows that you are a REAL person who genuinely appreciates the feedback that he/she receives from someone. It also makes your audience feel more connected to you as a person. Whenever I see that my comment was "Liked" by someone, I know I feel a stronger connection to them because they actually SAW what I said. So, you love to take photos. That is a great perk to building your social media life! However, don't over do it with the posting. You want to create a clean image without any unnecessary clutter. What I mean by this is, stick to the idea of quality over quantity. When you want to post a new Instagram photo, make sure it looks its best. Did you use your camera to take the photo? Will your audience know that this photo came from your blog? You want to think before you press upload. Quality photos are the way to go, so keep your posts consistently strong for your audience to understand who you are as a brand. TIP: Instead of posting random things every few hours, try to keep a pace throughout the week to limit your posts to 3-5 times at a specific hour of the day. Another great way to grow your blog is to join a platform community FULL of people just like yourself. There are SO many great communities that will boost your traffic numbers and make you some new friends along the way. A few of the communities that I belong to personally are Palm BFFs and InfluenceHer Collective. These communities are run through Facebook or Instagram. 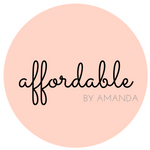 They are perfect for engaging with other bloggers of all types to spread the word about your blog. A lot of these communities allow you to try out products for Instagram shout-outs from brands, too! Just keep your eyes peeled. This tip is where you apply a little bit of monetary effort to see results. I've been running ads through Facebook and Instagram for the past year now, and I've seen significant growth from both sources. Facebook and Instagram ads allow you to edit what photo you wish to become "sponsored" for your targeted audience to see on their feeds. Every once in a while I will boost a particular photo that I love and want to get more attention on. I also boost photos that are specific to my affordable lifestyle brand. For example, I recently ran an ad on Instagram promoting $12 Pom Pom Earrings from Charming Charlie. This ad did well because it was specific and my audience loved the cheap deal! I suggest running ads down the line for your blog to see even more growth. Make sure the ads are targeting your correct demographic, too. In the beginning, you will get annoyed with the lack of results with your blog life because humans need instant gratification. Time has also passed and I've learned so much about myself and the blogging world. I am proud to say that I've been able to work with top brands on creating mutually beneficial content for both ends. I've also learned how to take better photos and how to properly edit them! "Is this all worth it? Or should I just delete my online life?" I stuck it out. I'm still sticking it out! Of course, I'd love to be a blogger with hundreds of thousands of followers but alas, I'm not quite there yet. But dreams do come true, people! I hit 10,000 followers over on my Instagram the other day and I'm over-the-moon excited. Starting with small goals is something you must do when creating a new blog from the ground up. OK, so I own a camera. Is it the best camera in the world? Nope. But it does the trick when I need it to! I have a NikonD3200. It's been with me since college which is a few years now. I love it, but I also want to upgrade it everyday, haha. My advice? Work with a photographer!!! If you can find the time + energy + money to invest in working with a photographer, I highly suggest doing so. I've worked with two so far on my blog, SARA and LEXI. Sara is AWESOME and lives in the Tampa Bay area so she is flexible with shooting locations. She runs her own blog so she understands what photos to take of each outfit look, too. Sara has taken quite a few shots of my latest outfit posts and I can not thank her enough for her great work! While in NYC visiting my family a few weeks ago, I had an idea. I thought it wouldn't pan out, but I was committed to making a shoot in the city happen. I contacted Lexi with the proposition of shooting at Cha Cha Matcha in NYC. She was equally excited to work with me and the results can be seen all along my blog! I was walking along the streets of Manhattan just like I envisioned in my head. I was so grateful for the experience and will be shooting with her again in December when I travel back up to NY to see my cousin get married. Working with a photographer will cost you money. I consider if I am doing a sponsored post OR if I really want to capture a specific look when booking a photographer for the highest quality images. I adore where I live. I'm right along the Gulf Coast and I've seen so much of St. Pete transform within the last few years. There are adorable coffee shops run by cute couples, boutiques launched by college grads, and succulent shops owned by the sweetest locals. If you don't post about what you LOVE, then why post at all? That's how I see things at least! Whenever I find a cool new place to eat at, I will post about it. I want to SHARE the wealth of knowledge that I have worked on for the past 23 years to inspire people to be more locally invested in their surroundings, too. Another side-note about lovesssss....I have a passion for tea. ALL tea (except Earl Grey, yikes!). I will frequently post tea photos and I am also an ambassador for Sipsby, an Austin-based tea subscription company. Posting cute Instagrams featuring my fave tea flavors brings me joy. It taps into my creative side that I want to poke at throughout the day to see what else I can make. I hope these tips will guide you through creating your very own blog! Best of luck, but most of all, remember to stay true to what makes you happy in life. Your passion will shine through and people will gravitate to you because of your genuine online presence! This is very helpful! Thanks for putting this all together! Thank you! I'm happy to help!